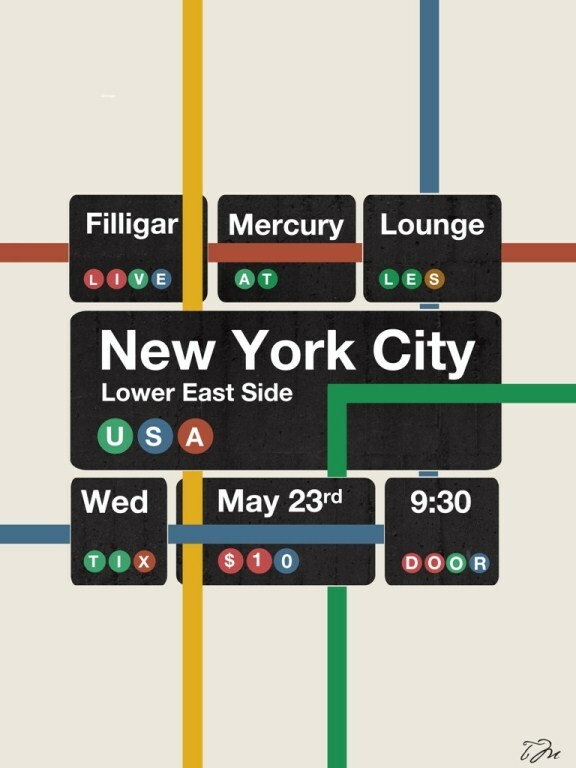 Anyone who is anyone will going to be at tonight's sold out Filligar concert as they rock the roof off of Mercury Lounge. More tickets may be available at the door and if you are desperate, you can email me at everydayanothersong@gmail.com I might let you sit on my shoulders under a double length trench-coat. This is Filligar's last NYC stop before they hit the road supporting the Counting Crows as part of their Outlaw Roadshow Tour. Local dates include a stop at Asbury Park's Stone Pony, Utica's Saranac Brewery, shows in both Cleveland AND Columbus, Ohio, and all sorts of other Canadian, Southern and Mid-Western Dates. #EDAS has been singing Filligar's praises for over a year now, but people are really beginning to take notice. Nobody mentions these guys without saying they are the best touring band today. I challenge you to find a better live show. The scary part is with a new album in the works, they just keep getting better. Party starts at 9:30, Filligar on at 10:30. See you tonight, be there or be elsewhere.